Info Fred DuVal lives in Flagstaff with his wife Jennifer and son Willie. Fred has lived in Arizona for 38 years and his family has had a home in Northern Arizona for over a decade. He is currently a consultant to Yavapai Community College on a new initiative involving civic participation. 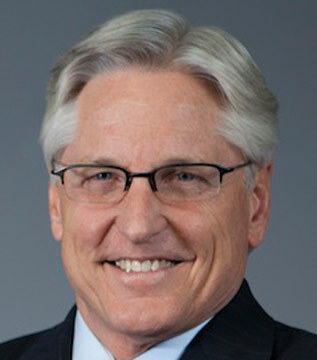 In addition, DuVal is the President of DuVal and Associates, a consulting firm focusing on intergovernmental relations. Jennifer is employed by Sierra Tucson, one of Pinal County's largest employers and an organization dedicated to the prevention, education, and treatment of addictions and behavioral disorders. DuVal has served as a Trustee of Prescott College, on the National Advisory Board of the Udall Center for Public Policy, a Director of Valley Big Brothers/Big Sisters and of the Desert Botanical Garden. He is a member of the Arizona Academy and Arizona Town Hall. For over 25 years, Fred DuVal has been involved in state, federal and foreign policy, with a particular focus on health care, education, economic development and natural resources. � He was a top assistant to Governor Bruce Babbitt from 1980-85, responsible for legislative programs. In this capacity he played an important role in the design and passage of Arizona�s Medicaid reform (AHCCCS), in the fight for education reform and raising teachers salaries, the creation of the Groundwater Act and the Urban Lands legislation, and the development of a rural economic development strategy for Arizona. In addition, he was involved in transportation, housing, state parks, Community Colleges and higher education and other issues. � In 1997, DuVal was named by the President to be White House Deputy Director of Intergovernmental Affairs, responsible for the policy relationship between the federal government and the 50 Governors, the mayors, county elected officials, and Native American Tribes. In this capacity, DuVal was instrumental in the creation of the Children�s Health Insurance Program (CHIP) and the negotiation of a national tobacco settlement; in negotiations which led to a bipartisan agreement on the new education bill (ESEA) which provides new federal money for education in exchange for tougher standards of school performance; and helped shape welfare reform (Welfare to Work). Also, while in the White House DuVal Chaired an InterAgency Task Force on Responsible Fatherhood, and the Interagency Task Force on Puerto Rico and the Territories. While in the White House, DuVal was an important participant in all White House policy development concerning Native Americans. In particular, he was deeply involved in the fight against the Enzi Amendment restricting IGRA gaming rights, the Gorton Amendment to means test tribal appropriations, and in favor of full contract support for Section 638 functions. DuVal was honored to be the keynote speaker at the 1997 Indian Voter Rights Conference in Sacaton. � From 1993 � 1996, DuVal served as Deputy Chief of Protocol of the United States, reporting to the President and Secretary Warren Christopher. In this capacity, he organized and hosted the visits of foreign Presidents to Washington and managed diplomatic accreditation for the United States. DuVal has been involved in Arizona politics for over 25 years. He was a Democratic Precinct Committeeman, a 10 year State Committeeman, and a member of the Democratic National Committee from 1989 � 1993. He was one of the founders of the Democratic Leadership Council in 1985 � an organization devoted to leading the National Democratic party back to centrist ideals concerning economic growth and bi-partisan values. He has also maintains a life-long interest in foreign affairs. He just completed a term as a Presidential appointee to the Board of Directors of the Inter-American Foundation. He has served on political delegations to Europe, China, Israel, Japan, Taiwan, and the Soviet Union. He has written published articles on China, Europe and Mexico and studied as a Visiting Fellow of the European Community. Fred has for years spent his free time enjoying the Arizona outdoors and can be found most weekends on a good hike or ride. He has rafted, and twice hiked the Grand Canyon, has skied all of Arizona's many downhill slopes - from Mt Lemmon to Williams, skis cross-country, mountain bikes, has fished many of Arizona's beautiful lakes and has hunted Arizona's backcountry. Fred was born on May 24, 1954 in Ridgewood, New Jersey. His family moved to Tucson in 1963 when his father was named Founding Dean of the UA Medical School. His father has since served as a member of the State Retirement Board, and his stepfather, Jack Whiteman, has served as Chairman of the State Board of Education. Fred graduated from Tucson High in 1972 as Student Body President, Governor of YMCA Model Legislature, and a delegate to Boys State and Boys Nation. He graduated with a BA from Occidental College in 1976 where he was selected a Luce Scholar. He earned his law degree from Arizona State University in 1980.